The ParaPod comes in a kit-form that can be sized and assembled easily, and costs significantly less than conventional HKAFOs. The kit provides an exoskeleton worn over clothing that consists of shoe clamps, aluminum uprights, foam knee blocks, and upper-back and chest supports. The aluminum uprights are sized at the knee and hip and are cut to length. Additional tubes can be cut to a longer length to accommodate growth. Durable and easy to clean, Skin Natural gloves provide more realistic characteristics due to a multilayered structure that creates an impression of depth. The PVC-based material provides robust features for the gloves, showing high durability compared to other materials. 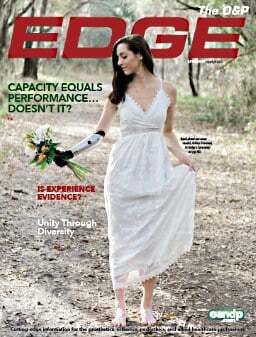 Skin Natural is appropriate for patients wearing myoelectric, body powered, and passive arm prostheses. The innovative NINJA is a 6X mechanical-advantage orthosis that is like a string brace, but it uses straps, not strings. The straps are more durable; they won't fray, tear, tangle, or wedge. The NINJA belt is the foundation of each brace (L-0627, L-0631, and L-0637) in the NINJA Progressive Spinal System. It has a soft mesh inside and an aggressive loop outside. The one-pull strap is easy to tighten and fasten. The NINJA LSO is pictured. The STAR™ family of cranial remolding orthoses has been used to treat positional plagiocephaly, brachycephaly, scaphocephaly, and other head-shape deformities in infants aged three to 18 months since 2000. Tens of thousands of infants have been successfully treated with the STARband®. Orthomerica has received FDA clearance for the STAR family of cranial remolding orthoses for post-operative craniosynostosis. Orthomerica's cranial remolding orthoses can be fabricated from an unmodified cast or a scan of the infant's head using the STARscanner™. The new Centri Dynamic Walk Single Side AFO features open-heel construction to allow for optimal fit and comfort, and also provides dorsi-assist with subtalar inversion and eversion control. The high-activity design enables freedom of motion and allows for walking, running, and climbing stairs. Fits normal or narrow shoes. Moldable, lightweight thermoplastic Comfil® carbon-composite cuffs. 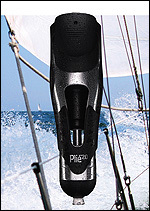 Continuing our tradition of excellence, OPTEC introduces the Stealth X, our newest revolutionary, streamlined design. The Stealth X design provides unmatched saggital-corronal support. The closure system glides to provide smooth compression that can be regulated by your patients. Our unique, durable, and flexible polymer closure straps provide additional re­in­forcement and support to the posterior for complete rehabilitation. 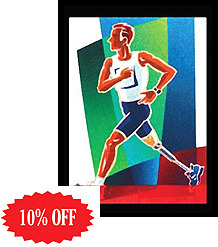 Stealth X combines the benefits of a post-op and rehab brace, all in one innovative design. PDAC recently determined that L-0637 is the appropriate HCPCS code for the Stealth X. Order the Stealth X now through June 30, 2010, to receive 15% OFF the regular price. The Venture® combines College Park's trademark multiaxial design with a higher frequency dynamic response for more active users. True multiaxial function with transverse rotation. Extended toe lever facilitates immediate power and increased response with each stride. Adjustable Stride Control™ helps fine-tune gait without disassembly. Allard USA has announced new, smaller sizes for the popular carbon-composite KiddieGAIT™ ToeOFF products, available from PEL Supply. Three new "baby" sizes support the foot in its early stages and beyond, to stimulate and assist standing and toddling, and to provide support for correct posture and gait. KiddieGAIT will now fit kids from about nine months to approximately nine years. It is even more kid-friendly when paired with the new SoftSHELL™ slip-on sleeve that comes in pink or red fun-print patterns. All sleeves are machine washable. Intended for patients up to 320 lb. or those individuals with a severe biomechanical deficit, the Model 1017-A38 Automatic Angled Lever-Lock Knee Joint is the latest addition to our comprehensive range of orthotic knee joints. Equipped with in. x ¾ in. (9.5mm x 19.1mm) aluminum uprights, the Model 1017-A38 is modular in design and may be used in either a unilateral or double upright configuration. The Model 1017-A38 can be fabricated into a variety of orthotic designs including conventional metal and leather, thermoplastics, and composites. 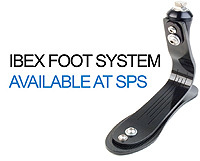 SPS offers the sleek, slim-line design of the new Ibex Foot System™ from Fillauer, with its "must-feel-to-believe" performance. The unique micro-slice pylon design and split heel plate contribute to an overall foot system inversion/eversion of 13 degrees. The lightweight, low-profile design weighs 16.2 oz. (27cm Category C spring) and has a build height of 6.75 in. The full-length heel plate and resilient carbon structure allows Ibex users to reach foot flat sooner while expending less energy. The stable, durable design is appropriate for users weighing up to 330 lb. 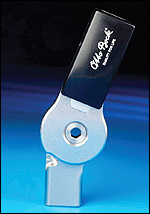 The redesigned Plié 2.0 MPC Knee microprocessor knee is in stock and available at SPS. Its synergistic microprocessor and hydraulic technologies deliver a highly responsive prosthetic knee, while facilitating a natural and intuitive mobility. Microprocessor control of both swing and stance phases delivers advanced stumble-recovery capability. The finely tuned control system delivers near instantaneous adaptation to gait dynamics. Freedom Innovations' Plié set-up wizard streamlines programming and set-up of the knee, using automated parameter settings to maximize performance. The GXL-Knee (GX-Locking Knee) incorporates the best of both worlds from our Key Lock™ (1015) and GX-Knee (9000) knee joints. Integrating the extension-assist feature of the GX-Knee with the locking mechanism of the Key Lock gives you and your patient a whole new level of confidence and convenience. Model 9015 is a free-motion knee joint that is designed to provide extension assist, not prevent knee flexion. 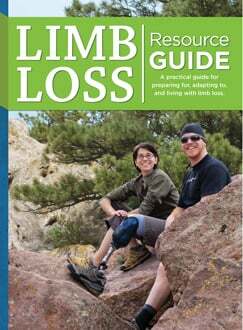 In addition, the GXL-Knee has the option of locking at full extension for use as a locked knee joint. PDAC recently reviewed many OPTEC products, with the following decisions: VertaMax L-0627; Stealth PRO L-0631; Stealth Rehab L-0627; Stealth X L-0637; Stealth LSO LP L-0637; Stealth CB L-0637; Stealth Xtreme L-0637; Stealth TLSO with DLK L-0462; and Stealth TLSO with ATE L-0464. The Stealth LSO, Oasis LSO, and Oasis LSO LP continue to be L-0637. When someone says they can't wear a lock, remember that not all locks are created equal. Many locks are difficult to engage and can cause milking and irritation. The new Suction Lock combines a lock system with an air-sealing valve to create an airtight suction socket. This improves suspension, reduces pistoning and milking, and increases comfort, even without a sleeve. Endolite's updated EliteVT, available at SPS, has been re-engineered with a new titanium spring (previously stainless steel) to achieve a lighter, more robust foot with superb dynamic response. The updated EliteVT incorporates vertical compression and axial rotation. The progressive response to axial loading simulates the elastic properties of natural leg muscles. Its compact, maintenance-free design allows for easy cosmetic finishing. It provides K3-K4 users with the ultimate in versatility, shock absorption, rotation, and stability in one complete package. EliteVT ships fully assembled. Orthofeet has added new Tie-Less shoes, featuring its patent-pending system that offers a unique fasten-ing solution for people who have difficulty tying laces. This revolutionary system combines laces with hook-and-loop straps and offers easy fastening on eitherside of the shoe. Additional unique features include soft, seamless fabric lining with foam padding and Ergonomic Stride™ sole design. The Alpha® Original MP Liner from Ohio Willow Wood is now available at a new, lower price from PEL Supply. Available for immediate shipment, the Original MP Liner offers 6mm of gel thickness, uniform style, and original green/gray fabric. All sizes of either locking or cushioning MP Liners are available at the lower price, and all offer a 12-month warranty. It's the most popular Ohio Willow Wood liner, with the most popular gel thickness and profile, in the most popular fabric-and now at a new, lower price from PEL Supply. Designed for high function and low fuss, the CQL™ Auto Expulsion Valve (CD105) quietly expels air throughout the day without a whooshing noise. It has a slightly higher crack pressure to create a higher level of suction. The valve is protected from the elements by a filter that can be cleaned or replaced. The CQL Valve can be retrofitted or used with new fabrication tooling for easy installation in new sockets. Mention this ad, and receive a discount on your first order. Quality and rapid turn-around are the hallmarks of our practice. Allow us to help you help others! The new Child's Play Knee, with increased weight limit (up to 121 lb.) and modernized design, is now available at SPS. 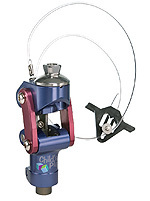 Trulife's Child's Play Knee with manual lock utilizes a mechanical locking system with a manually operated release lever. Four-bar polycentric design provides 140 degrees of flexion.